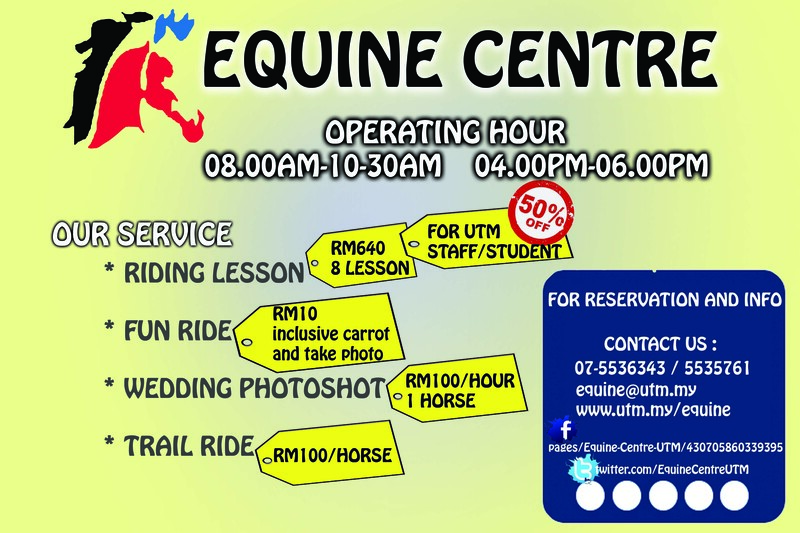 Located inside the Ecotourim Campus of UTM, UTM Equine Centre offers myriad of activities for horse enthusiasts. Built to promote the local horse riding sports, UTM Equine Centre was established in 1995. 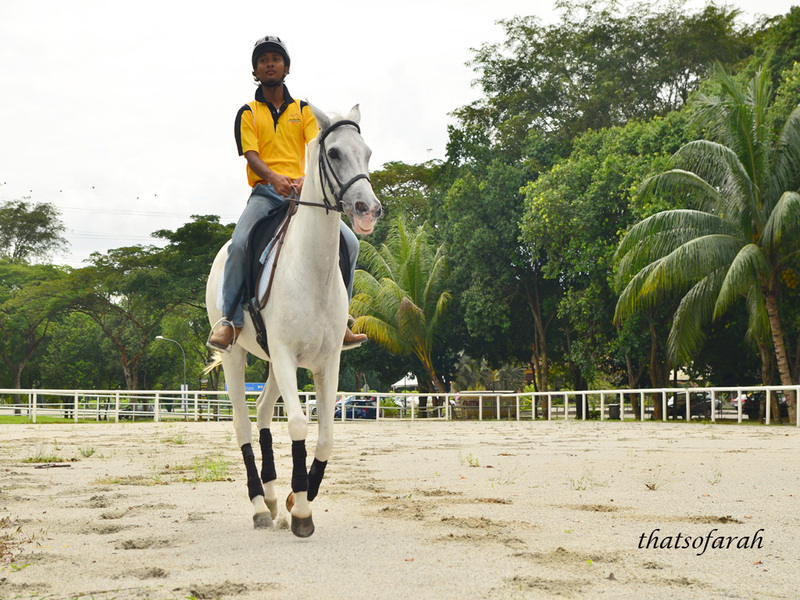 UTM through Equine Centre had achieved in creating a successful equestrian sports rider at national and international levels. 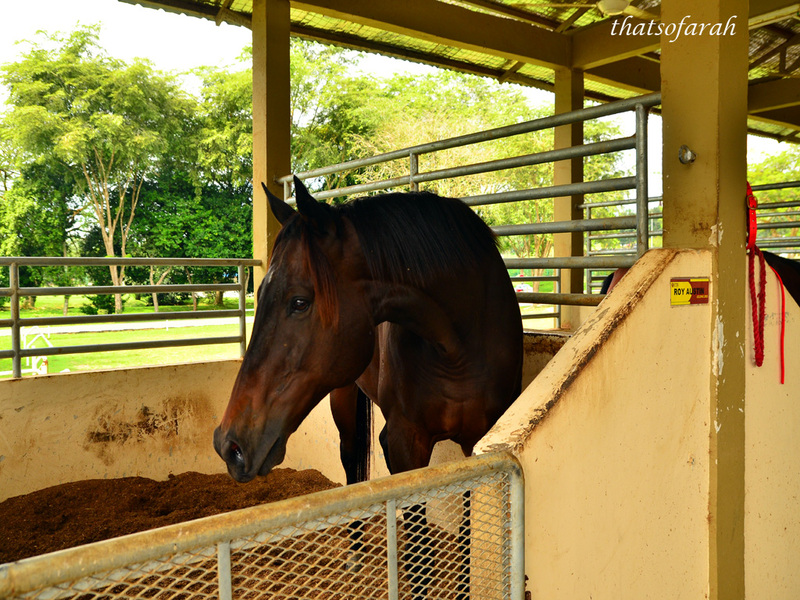 On my recent trip to Johor, I had the opportunity to visit UTM Equine Centre to catch a glimpse of what it is like at the horse centre. Apparently, the centre is also producing its own horse food and nutrient as well as researches on horse breeding. As we arrived quite late and it was time for the horses to be fed, we could not ride the horses for fun ride. I managed to go into the stable and had a personal meet-and-greet session with the horses. They were not friendly at feeding hour. You’d rather not disturb the horses. I bumped into UTM students who are members of the Equestrian Club who told me they took turns to look after the horses and feed the horses. They will come down to the stable whenever they are free. 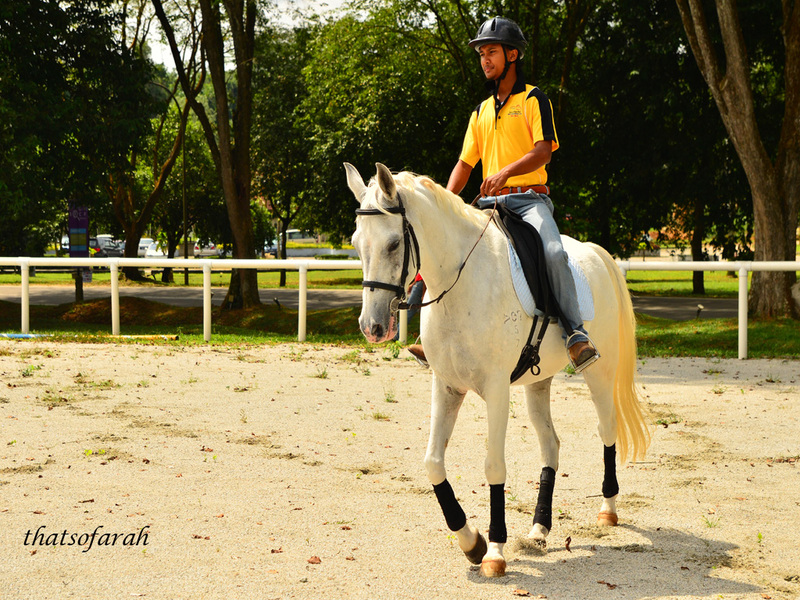 The bonding between the students and the horses mesmerized me. 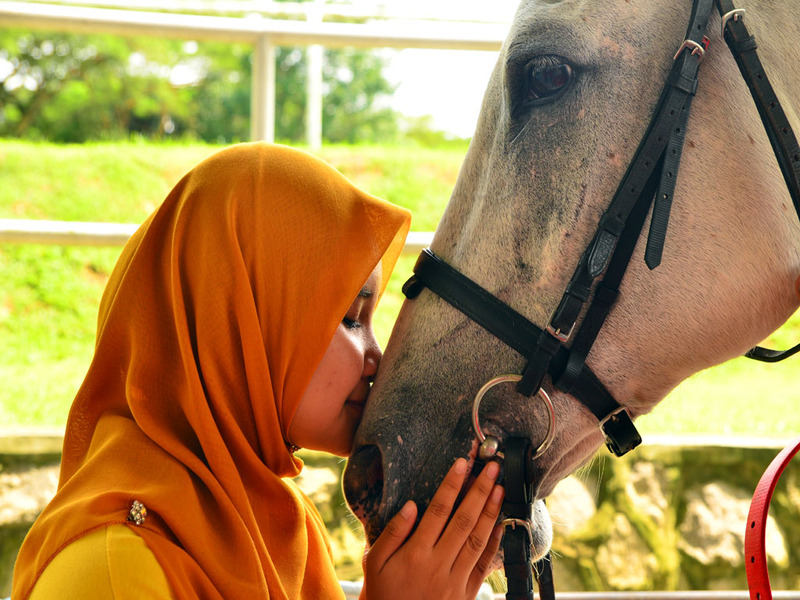 The love for a horse is just as complicated as the love for another human being. If you never love a horse, you will never understand. Meet my new friend, Roy Austin. Moon Shadow in action. A beautiful white horse.